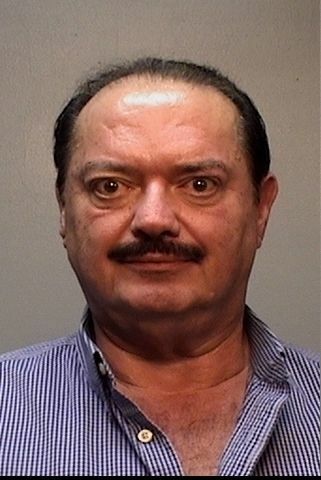 A Brownsville police report for the DWI arrest of State Rep. Rene Oliveira shows the politician refused to perform a standardized field sobriety test or voluntarily provide a blood specimen and that an officer needed to hold Oliveira’s right arm to keep him from losing his balance. The Brownsville Police Department arrested Oliveira on April 28 and charged him with drunk driving after he left the scene of a car crash. According to the police report, Oliveira left Cobbleheads after eating dinner and having a “few” drinks when he crashed his black Cadillac into a vehicle that was stopped at a traffic light. The report states that there was damage to Oliveria’s vehicle, including two right side tires that were flat and the front right tire wheel having significant damage. According to the report, Oliveira had red, blood shot eyes, glassy eyes and dilated pupils. In a statement released to The Brownsville Herald on April 28, Oliveira apologized.